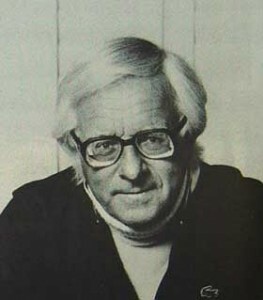 Tomorrow (August 22) is Ray Bradbury’s birthday and I will be lighting a candle though I’ve never met the guy and, frankly, have never been to Waukegan Illinois. But through his books, I’ve always felt a kinship with this master of poetry and fantasy. And we have crossed paths – sort of. In 1996, one of my stories was published alongside his story “The Pedestrian” in an Elements of Literature textbook. The two stories were even compared in the ensuing review questions; both turned a spyglass on the isolating effects of society. Ray grew up reading Flash Gordon; I grew up reading Ray Bradbury. In the strictest sense most of what he writes isn’t science-fiction. Instead he writes with an entrancing mythic power as if his pen came from the same forge that made Thor’s hammer. The Mars that he describes doesn’t exist (though in defense, right into the 1950s there were still Atlases being produced that described Mars as being filled with vegetation – (I have a 1953 edition that shows just that.) Mars is a burnt-orange desert. Mars has no canals, no gold-eyed Martians with six fingers, no gossamer ships that cruise the barren wastes. But we want these things to exist, and so Bradbury’s Mars remains immortalized as a ghostly parallel world. And you know what? When people do set up little colonies there they will sow those imaginative seeds upon the dead planet. Someday, someone in the future is going to build a gossamer Bradbury-described Martian sailship to go careening around the Martian desert. Bradbury is a shaman of imagination. The Martian Chronicles stands uniquely apart and cherished. It isn’t the fanciful pulp adventures of John Carter rescuing scantily clad blue-skinned Martian beauties from cruel villains. Neither is it the ardently scientific look of Kim Stanley Robinson’s Mars trilogy (which bottomed out by the time he reached Blue Mars, IMO.) Bradbury’s take is neither science nor pulp but a strange kind of myth that burns eternally in the mind. After my article condemning Orson Scott Card, I received a lot of email. Most of it was from the open-minded freethinking crowd. Not everyone agreed, but most could come to the table of open ideas and have a real discussion about it.